Four Outlander tales... In Lord John and the Plague of Zombies Lord John Grey is posted to Jamaica to assist the Governor as he faces a most unusual kind of uprising among the colony's slave population. 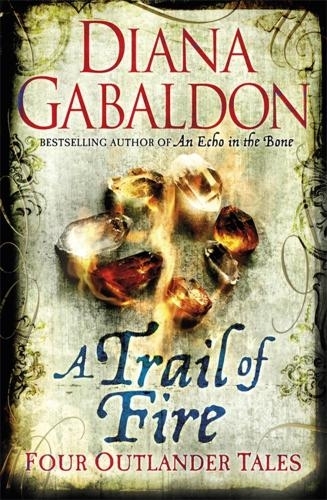 In The Space Between , Jamie Fraser's step-daughter Joan is on her way to an abbey in Paris to become a nun - but when she meets the Comte St Germain, a wealthy French aristocrat rumoured to to deal in the occult - she discovers her destiny lies on a quite different path. In The Custom of the Army, Lord John Grey is summoned as a witness in a court martial in the wilds of Acadia, only to find himself playing a crucial role in the Battle of Quebec. In A Leaf on the Wind of All Hallows , a WW2 Spitfire pilot called Jerry MacKenzie crashes near a stone circle and wakes up in the eighteenth century. Can the strange man he meets - who impossibly seems to know him - help him return to his wife and baby son before a terrible fate overtakes them?